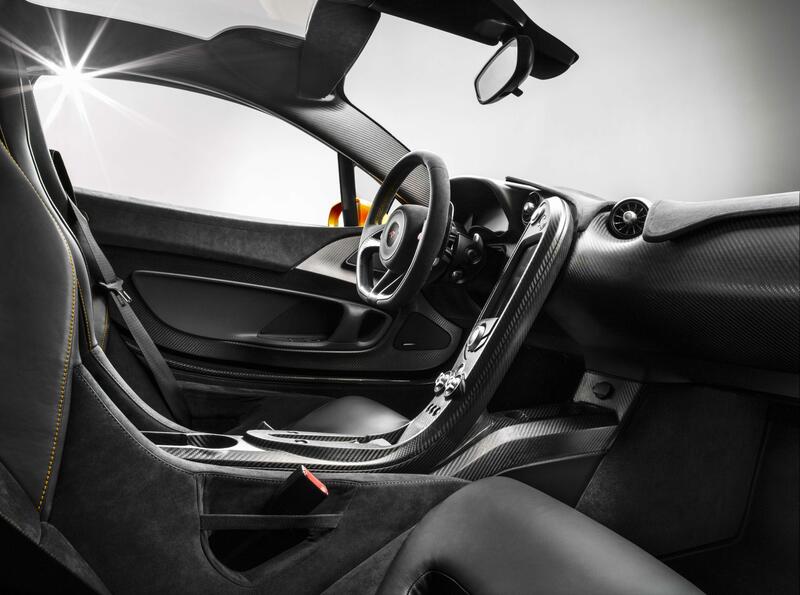 The interior of the McLaren P1. 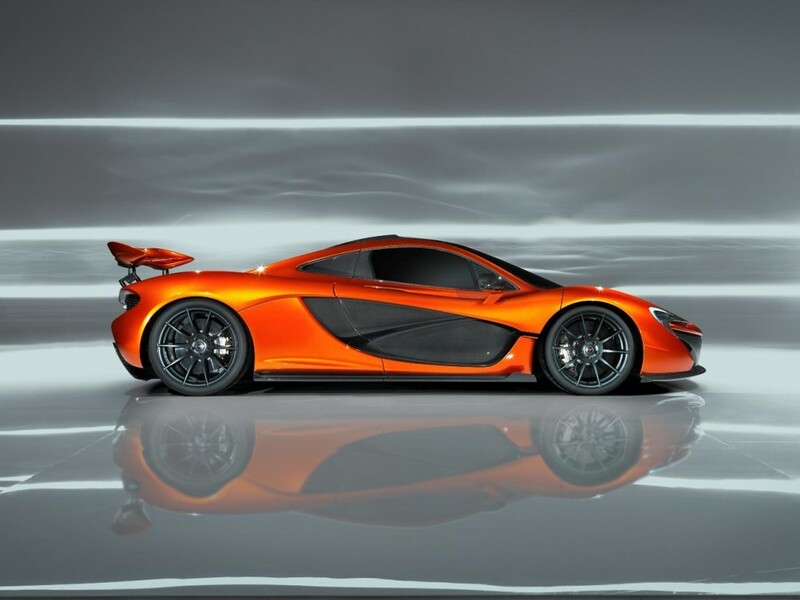 The McLaren P1™ has a clear goal: to be the best driver’s car in the world on road and track. In order to achieve this, performance and handling are key, but to extract the best from the aerodynamic body shape and the groundbreaking technology beneath the carbon fibre exterior, the driver has to feel comfortable and in control. 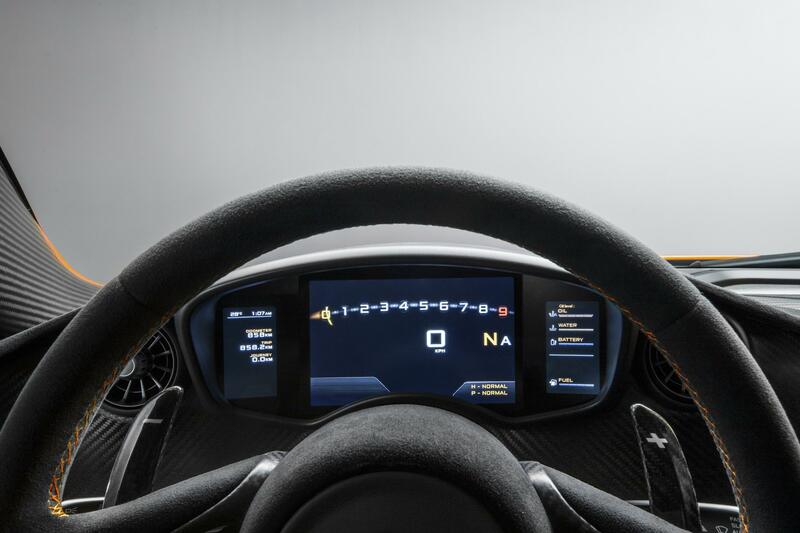 For this reason, the cabin of the McLaren P1™ is fully focused on the driver, and is clear from clutter and distraction as these first images show. 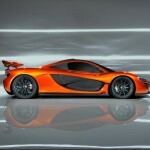 The interior of the McLaren P1™ offers the driver and passenger a cocooning, efficiently packaged, comfortable cabin. The interior feels like the cockpit of a fighter jet, complete with glass canopy overhead and, with a windscreen deeper than it is wide, visibility is optimised. This makes the car all the easier to plant on road and track. 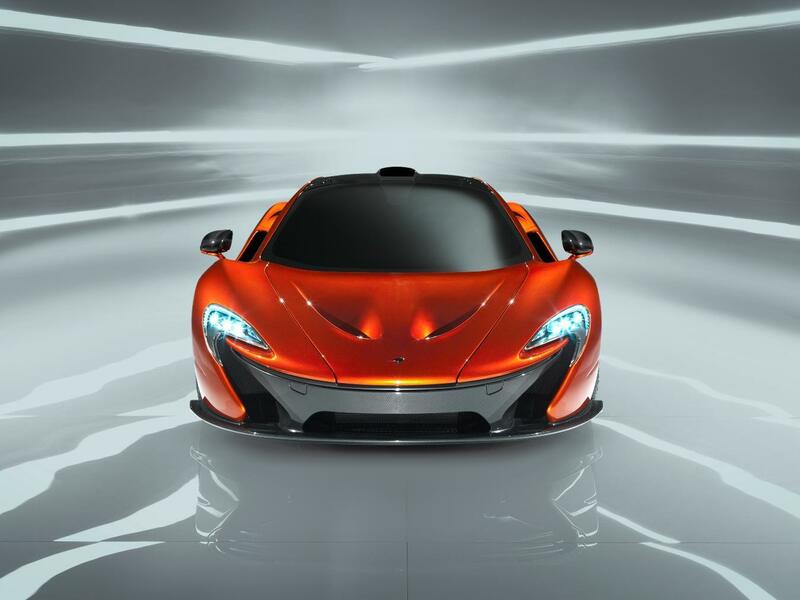 Light weight – as with the rest of the car – is a priority, and switch gear is kept to a minimum, yet the McLaren P1™ retains luxury features such as full climate control, satellite navigation and a bespoke sound system, developed from the outset with Meridian. 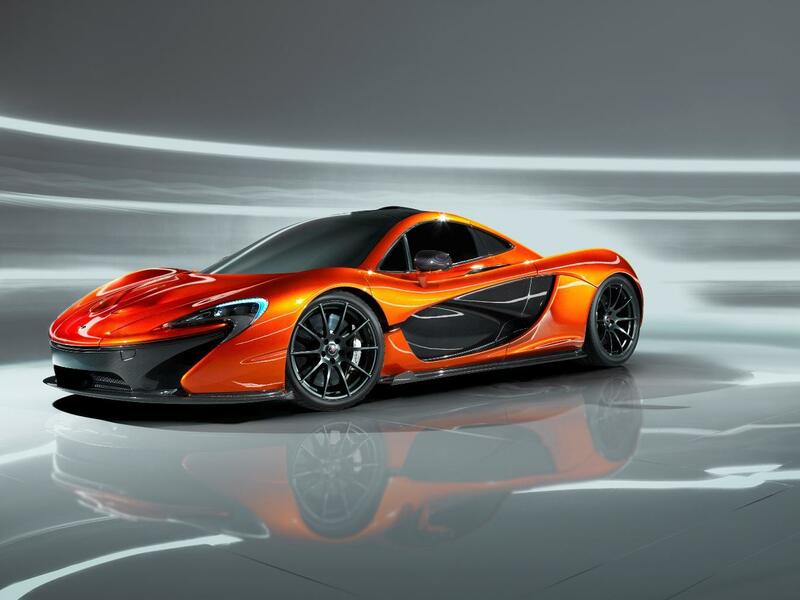 McLaren is a pioneer in the use of carbon fibre, and it features extensively throughout the McLaren P1™, not least in the MonoCage chassis and the aerodynamically-shaped body panels, but also inside the two-seat cabin. 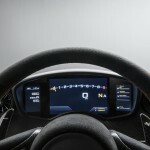 It is the lightest possible material, while offering the strength desirable for safety and structural integrity, and is used for the dashboard, floor, headlining, doors, rockers and a single piece is shaped for the central control unit to further optimise weight. 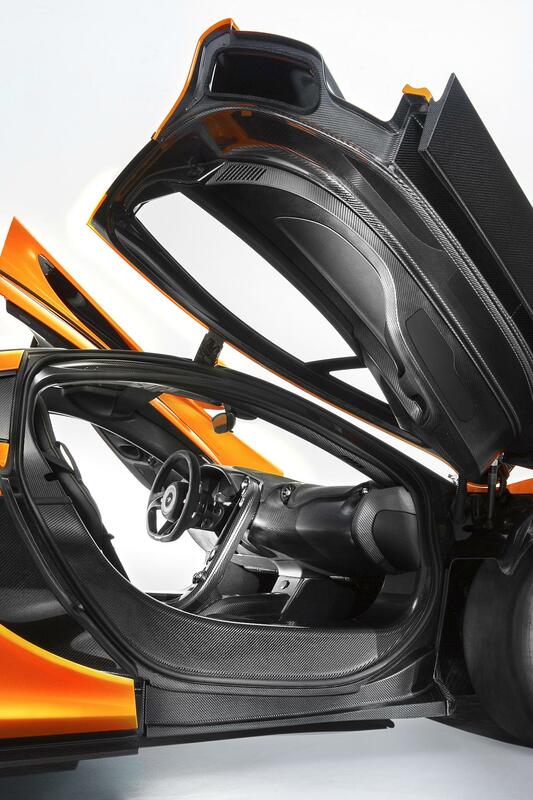 Attention to detail within the interior of the McLaren P1™ is such that, to further reduce weight, the top layer of resin has been removed, to leave the carbon non-lacquered for a more natural look…and saves a further 1.5kg. The amount of trim covering within the cabin has been minimised, leaving as many parts as exposed as possible, and there is no interior sound deadening in order to optimise weight saving even further. Carpet is offered, as an option, but when chosen, it is fitted with a special lightweight backing. The racing bucket seats use the minimum amount of foam, are encased in ultra-thin carbon fibre shells, and mounted on lightweight brackets and runners, contributing to an overall weight of just 10.5kg each. The seat backs are fixed to 28 degrees from the vertical, but can be set to 32 degrees to make them more suitable for racing as it will give more helmet head room. The height of the seat will be custom set to suit the driver and passenger, and can be subsequently adjusted in the workshop. Fixings for a six-point race harnesses are in place, in addition to inertia reel seat belts. 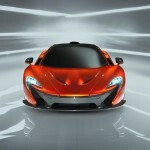 The steering wheel diameter is as technically precise as a McLaren racing driver’s wheel. This is because past McLaren world champions’ grips were modelled on a CAD system and scanned to produce an exact replica. The rim is finished in Alcantara, with carbon fibre inserts. 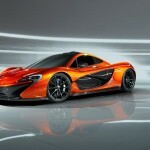 Further details of the McLaren P1™ will be released in the coming weeks, before the production-ready car makes its world debut at the Geneva Motor Show next month.